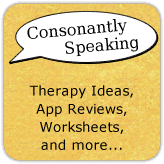 Consonantly Speaking: Speech App Discounts and Giveaways for Better Hearing and Speech Month! Speech App Discounts and Giveaways for Better Hearing and Speech Month! iSpeakApp and The iMums also have lists for what is on sale this month in regards to speech/language/communication apps. 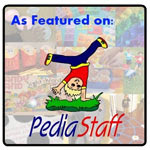 Technology in Education also links to some sites that discuss speech and language applications on their blog. This is a great month to get some free and discounted apps to use in therapy with your students! Now go forth and download!